In a 2003 interview, Jon Fishman said “Look, Trey shits music.” He would know, having played with Trey since 1983 and observed his obsessive song-writing habits. 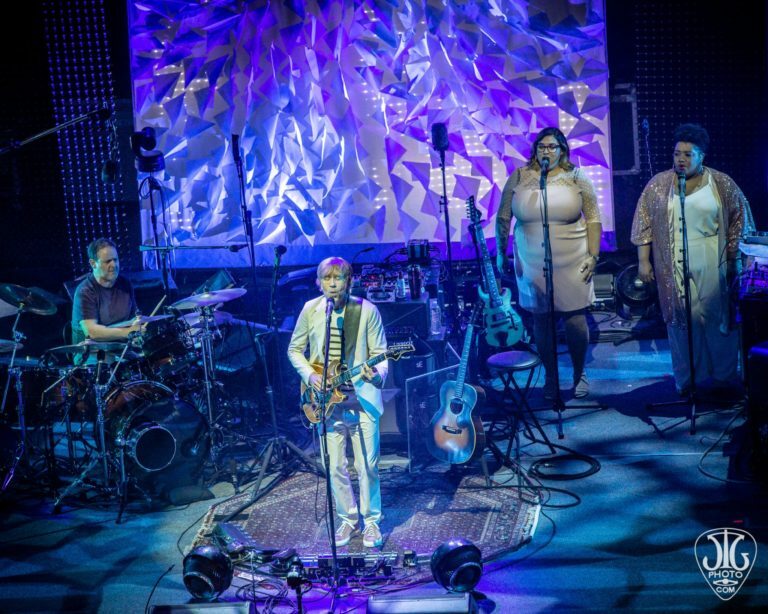 Fishman joined Trey for the first time in a side project, the brand new Ghosts of the Forest, which debuted this month in Portland, ME. 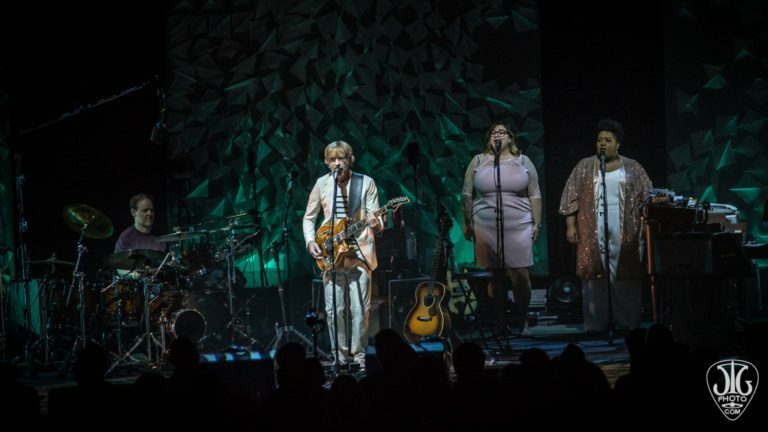 When Trey spoke during the encore at The Palace Theatre on Tuesday, April 9, he said he hoped to play music for 50 more years, and given Trey’s workload – writing Kazvot Vaxt and Ghosts of the Forest nearly back to back – and his increasingly positive outlook on life, that task is not out of reach. This is Trey who is the unofficial celebrity spokesman for Light (now, with MORE brightness!). 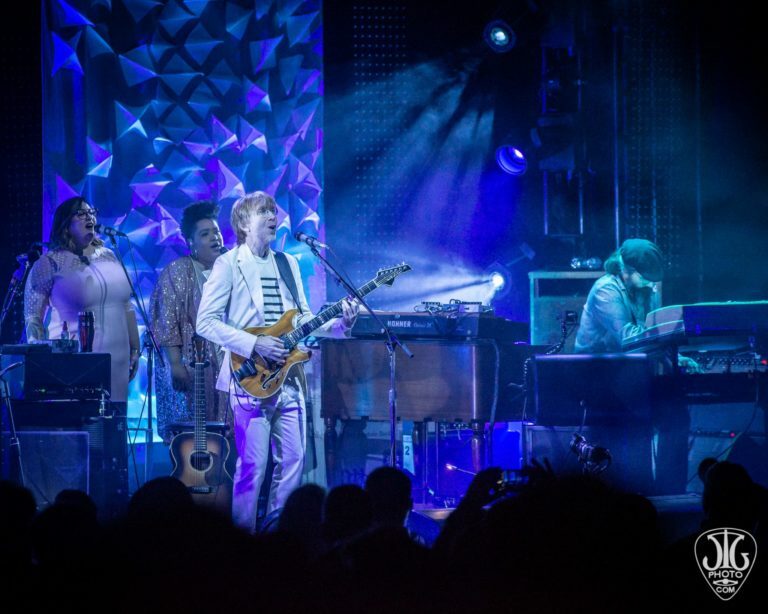 He’s been dropping notes of light in songs for a decade now, and with Ghosts of the Forest, we may have hit a new peak with Trey’s profoundly personal and positive lyrics. 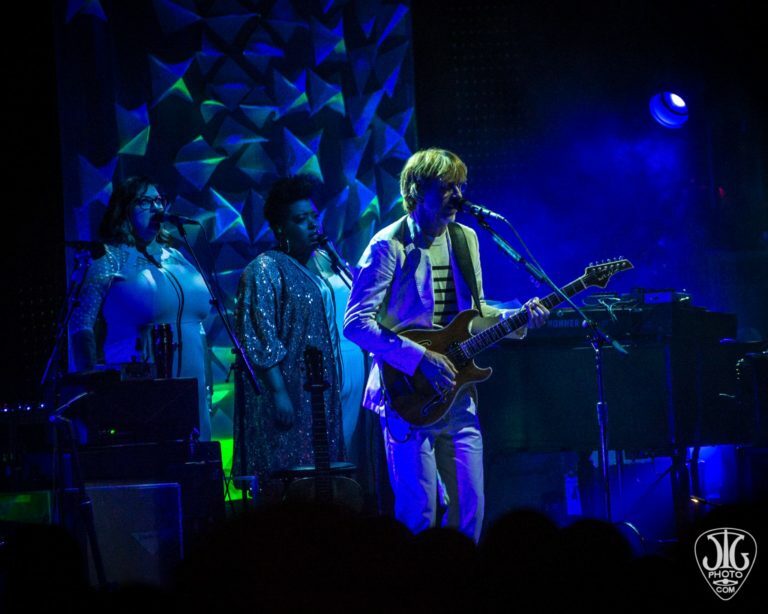 Trey spoke about Albany as being his second home, and close to those he loves in Burlington and New York City, and how excited he was to bring this new project to the Palace and a sold out ‘hometown’ crowd. 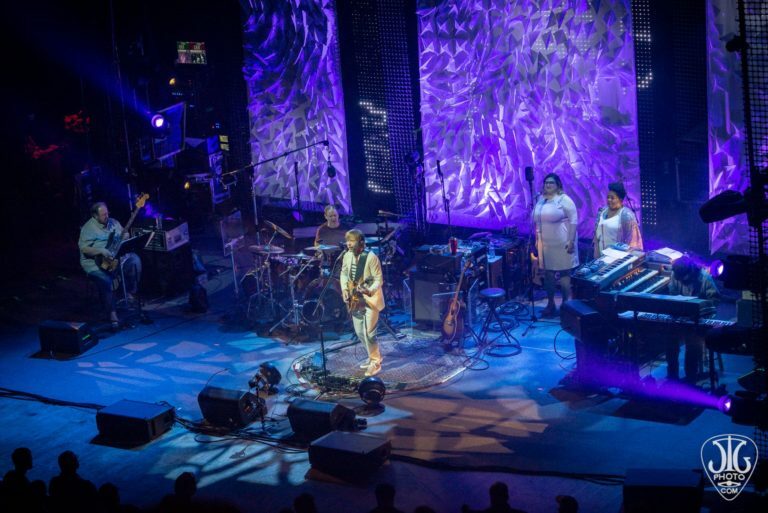 With a band consisting of Fishman on the kit (sans muumuu, he looks like your neighbor who side-gigs as a session drummer), a healthy Ray Paczkowski behind the keyboards, and Jennifer Hartswick and Celisse Henderson who provided gospel hued vocals that not only backed up Trey, but added a sonic layer to the group’s psychedelic rock. 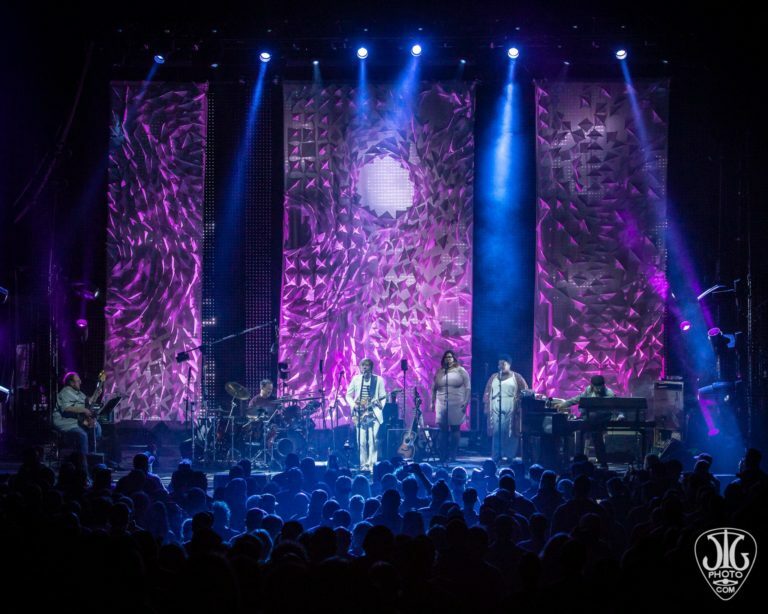 Saratoga Springs’ Tony Markellis took up bass duties, as he has in every side project Trey has had since 8 Foot Fluorescent Tubes debuted in 1998 at Higher Ground. 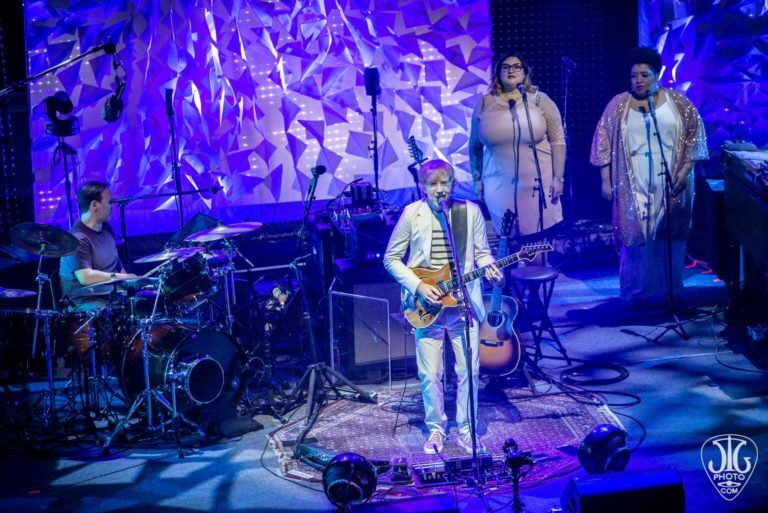 Energy in the room was palpable, as many eschewed listening to the recordings of shows from earlier this month for a first-look experience that is otherwise hard to come by. Even the album won’t be released until April 12, making this a nearly-virgin experience for the majority of fans in attendance. 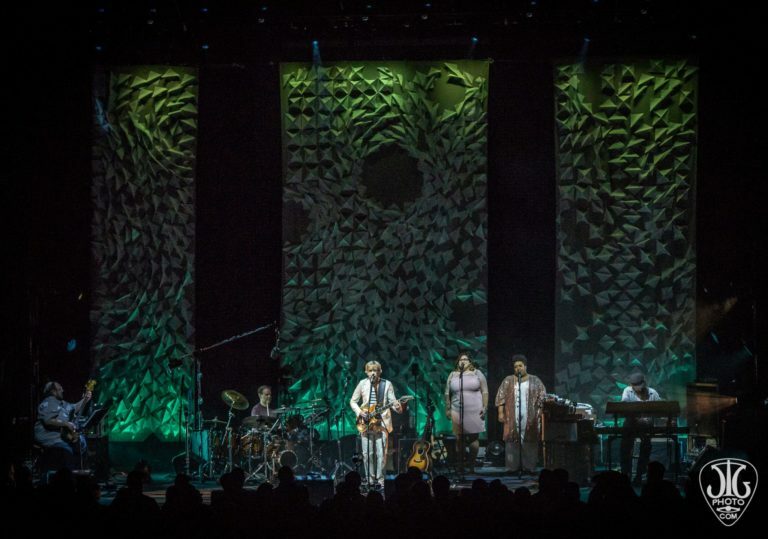 The production design by Abigail Holmes, who worked on Stop Making Sense and The Wall among many other shows, created a playground for her to color, using LED screens behind thin tapestries affixed with folded white paper in sweeping patterns. The symphony of light accented the music and was choreographed to each song of the night. During “The Green Truth,” a rainbow LED projection of Trey floated behind the band across the stage, while a stratified nighttime rainforest sky filled the stage during “Mint Siren Dream,” bringing the audience to Pandora for a brief moment. 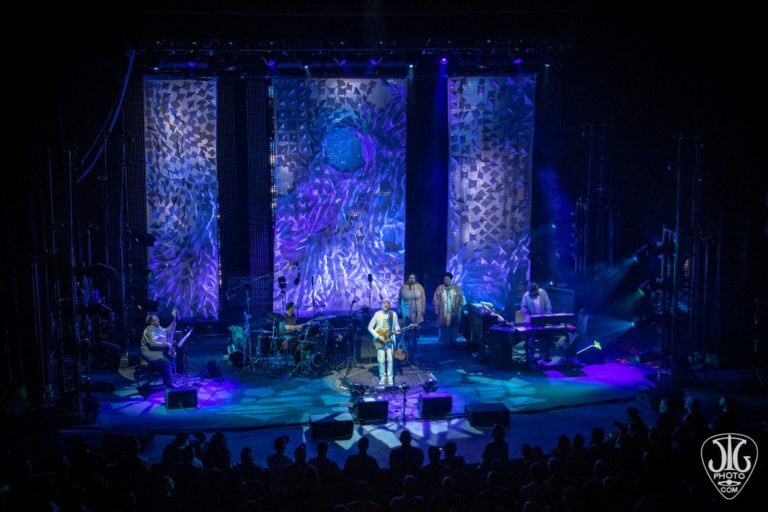 Ghosts of the Forest can be translated as deep memories in our mind, and throughout the songs, themes of loss, love and decade-long friendship were present. 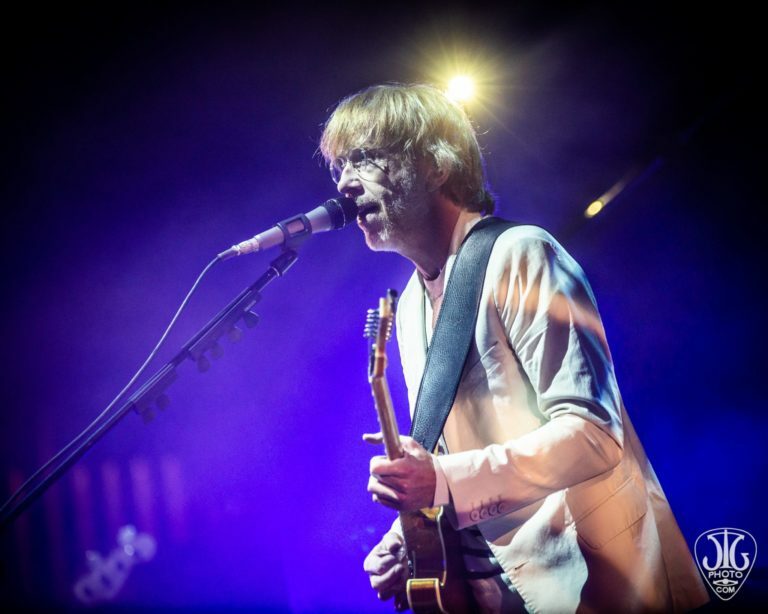 Trey lost close friend Chris “CCott” Cottrell to cancer recently, and the experience led to a number of the songs performed by Ghosts of the Forest. 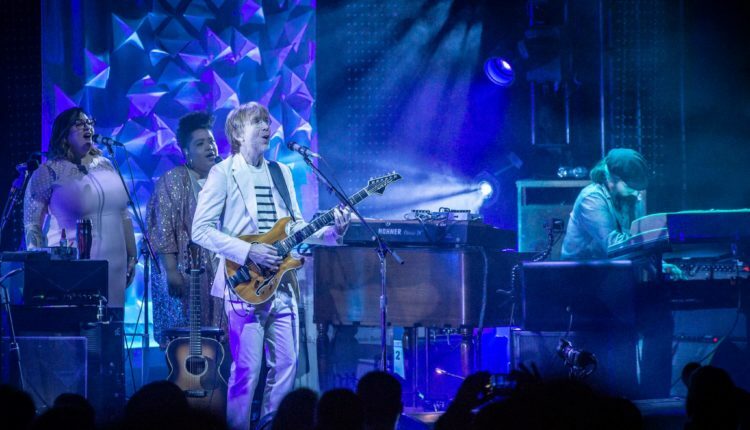 Trey spoke to Rolling Stone about playing acoustic guitar while CCott was in his final stages, and would play as he went in and out of consciousness. 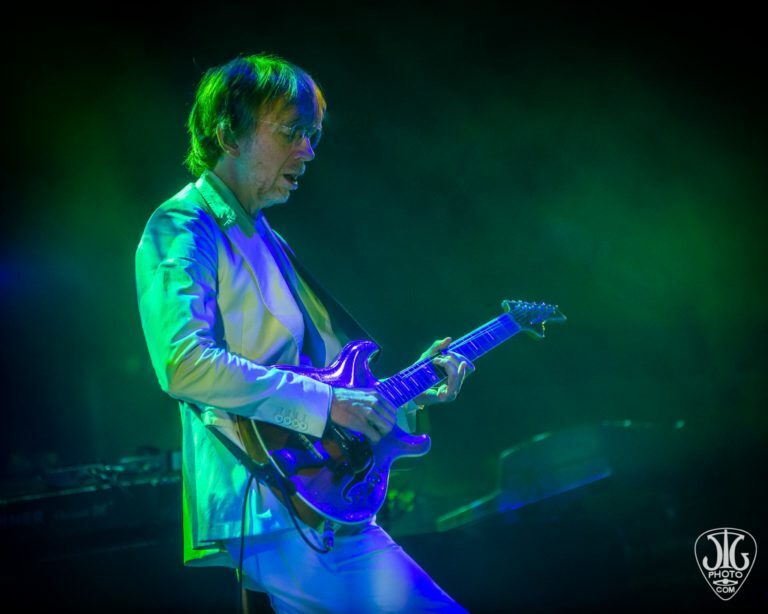 “Drift While You’re Sleeping” draws from that, while having a mid-1970s psychedelic rock feel – think Derek and the Dominoes with space built in for Trey to stretch. “Beneath a Sea of Stars Parts 1 & 2” was a fun Beatles-esque rocker, with a third part to close the set. “Stumble into Flight” had direct hints of Phish – “Pigtail” meets “Cool Amber and Mercury” with a dash of Steely Dan mixed in. “Ruby Waves” jumped out as a late 70s Neil Diamond show-stopper on steroids. A highlight among the night was “A Light Beyond the Dream,” with lights cascading as if entering a stained glass window and beaming on the congregation, combined with encouraging lyrics of not giving up hope. 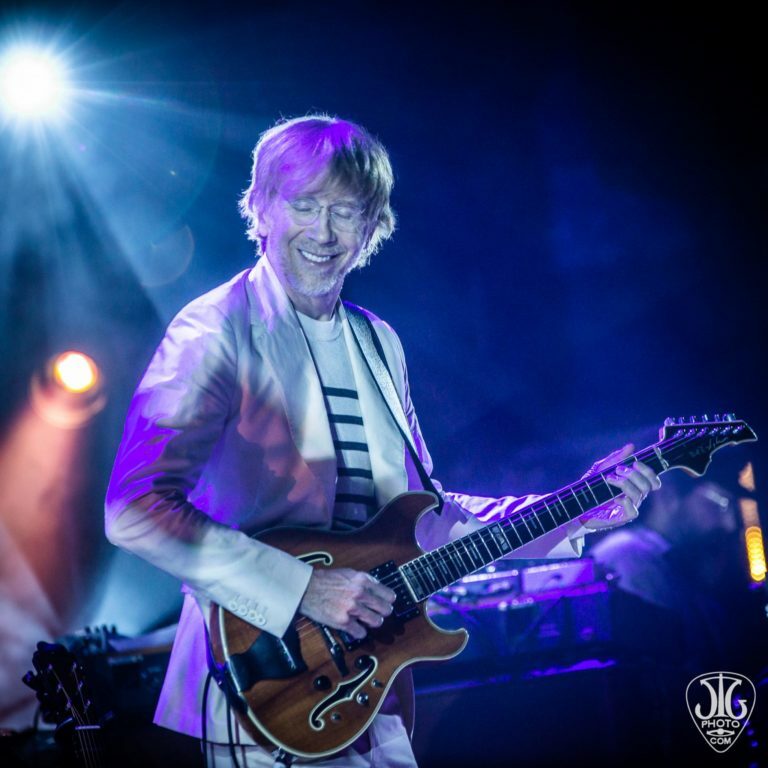 This is prophetic Trey: upbeat, happy, and encouraging, dad-like at times but not playing dad-rock. 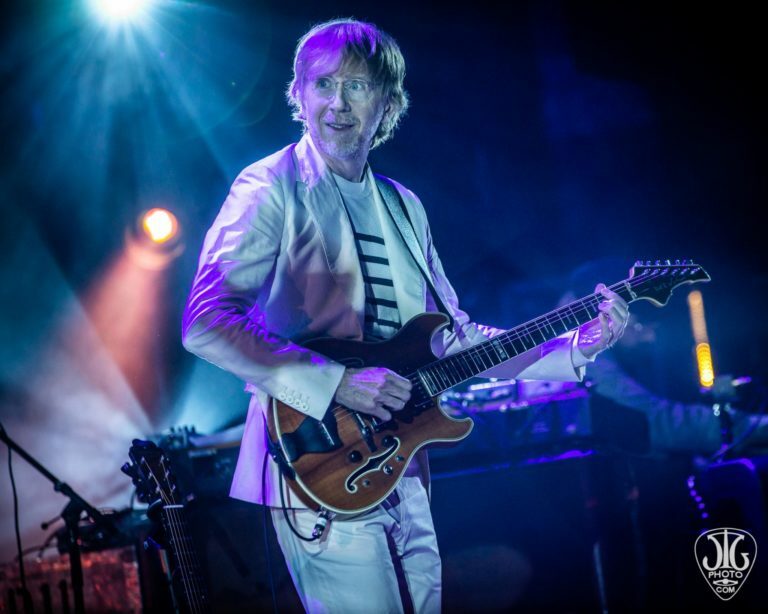 Ghosts of the Forest is a culmination of Trey’s last decade of writing. Trey said he wants to play for another 50 years. This is just the beginning.